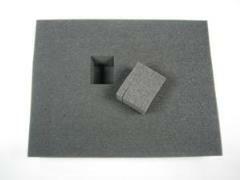 Heavy-duty, durable foam trays with non-skid backing. All trays are 15.5" x 12" and the thickness listed in the title. They are designed specifically for the Battle Foam line of carrying cases.